What must I do to the randomly generated raster to enable map algebra operations with existing rasters? I have already tried matching bit depth, cell size and raster format (16 bit unsigned, 10 and Esri Grid respectively). 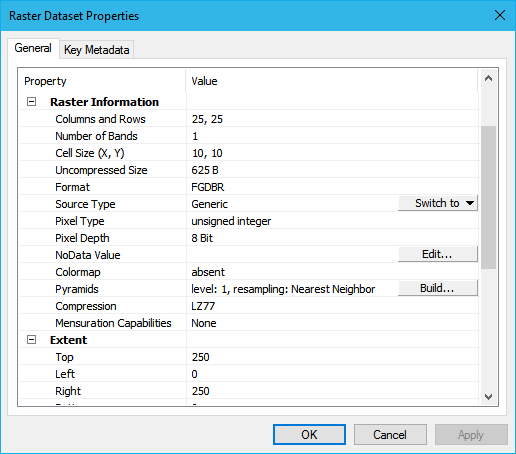 Does the random raster require spatial referencing first? RuntimeError:  ERROR 999998: Unexpected Error. The random raster has no coordinate system or projection set, whereas the elevation raster does, but would this cause the problem? I would say that trying to add two rasters together that don't have the same coordinate system is what's causing your problem. When you create your random raster, set the coordinate system in the environment settings of the tool. Alternatively, you could try defining a projection on your existing random raster. Not the answer you're looking for? 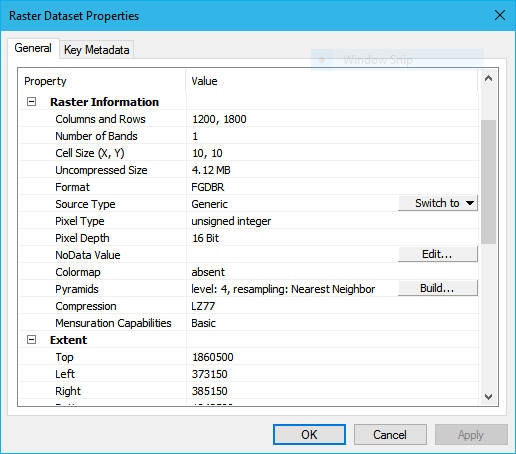 Browse other questions tagged arcpy raster arcgis-pro map-algebra or ask your own question.